Prominent & Leading Manufacturer from Pune, we offer motorized quarter turn electrical actuator and electrical actuator. 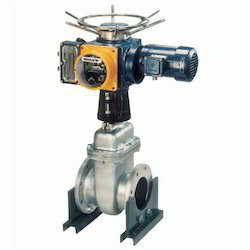 Our client centric approach has enabled us in manufacturing immaculate range of Motorized Quartar turn Actuator Valves. These products have great industry application and have tremendous trouble shooting capability. Low maintenance, compact & space-saving design, low weight and longer service life are the salient features of these products. With our high-end machines and latest technologies, we are able to fabricate products as per set industry standards. Our affordable price policy helps in creating a loyal clientele across the country. 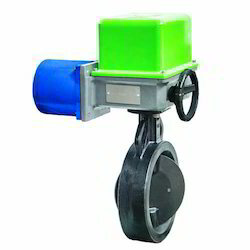 Backed ourselves with sound amenities and talented personnel, we have emerged as one of the leading organization engaged in offering wide assortment of Sluice Valve Actuator. The offered actuator is used in waste water treatment plants, power plants, refineries, mining and nuclear processes and pipelines. This actuator is manufactured by our diligent professionals with the best quality material and cutting-edge technology. Furthermore, our provided actuator is available according to specific requirement of our precious clients.